Sicamous's Shea Weber, about to destroy another puck, or another goaltender's equipment in this year's Stanley Cup competition. If Claude is going to wax poetic about all the flying Frenchman out of Quebec, I’m going to have my say about our BC hockey program producing some top tier NHL talent these days. We may not have the flash or flair that the Quebec leagues are known for, but out West we put our workboots on and do one thing right. We win. While I must admit, this year’s NHL Stanley Cup Finals had a distinct je ne sais quois about it, perhaps it was the French-Canadian coaches jawing at each other, the Burrows vs. Bergeron vs. Lapierre “Fingergate”, or the fact that Luongo grew up just four blocks away from Marty Brodeur and probably played street hockey with the guy as a kid, if you look deep enough, you’ll notice that there is a small contingent of BC born players on both the Boston Bruins’ and Vancouver Canucks’ rosters; however, though the population may be small, the contributions be mighty. The better known BC boys are known as serious professionals, on-ice or locker room leaders, and generally reliable hockey players. A quick top ten of British Columbians might go something like: Steve Yzerman, Joe Sakic, Glenn Anderson, Cam Neely, Mark Recchi, Ray Ferraro, the Courtnall brothers, Greg Adams, and Cliff Ronning. But this sampling doesn’t tell the story. For every Sakic, there is a Darren McCarthy leading, scoring timely goals, checking other forwards and defending up his teammates. For every Courtnall, Adams and Ronning there is a Doug Lidster, stoically protecting his zone, sweeping mistakes and allowing his forwards to take chances up front. With the BC hockey player you get what you ask for, no frills and no enigmas. It seems in BC, then, we take our roles seriously and our responsibilities even more so. We are the Western oblivion, the forgotten land tucked away past some mountains, and in the middle of the wild, but there is nothing wild about making sure your roster has at least one of these guys on it. The Vancouver Canucks may not have a Stanley Cup to their credit, but without players born on BC soil, other teams wouldn’t either. At the moment, the NHL is heavy with rugged BC boys who play key roles on the blue line, or physical checking forwards in the mold of Rob Niedermayer, who support their teammates with bodychecks, timely scoring, and occasional fisticuffs. All of the members on this list ooze leadership, and there isn’t a team in the NHL that would pass up an opportunity to have him on its roster. Benn can play all three forward positions, is a lanky 6’2″, and can log heavy minutes. His leadership is a key reason why the Stars are big on Benn, as well as his ability to play in any type of game, whether it be a track meet, or a wrestling match. He’s still catching up to his body in some ways, and needs to improve his positional play as well as his on-ice vision, but if the Stars are going to replace the skills of the declining Brendan Morrow, Benn will be a big figure in their future. When the Maple Leafs made the trade to add the speed demon (when not concussed) Matthew Lombardi and young prospect Cody Franson, the smile that spread silently over Brian Burke’s face was palpable. After making moves to acquire Phaneuf last year, who did show signs of returning to his former self, Connolly, and now Lombardi and Franson, all while dumping over 20 players and salaries over the last 2 years alone, the other shoe, has finally dropped. Burke finally got the big defenceman he covets so much, and the Leafs are looking like the most improved team this summer. The 6’5″ Franson will give the blue line the offense it will miss as a result of losing Kaberle, and as he learns to use his massive frame, his still developing offensive acumen, and learn the position from one of the best in Phaneuf (who might also have a thing or two to say about developing potential) he will become the preeminent defenceman in the NHL, and make Sicamous as proud of him as they are of Shea Weber. For that matter, Franson will make Vancouver proud, since he’s another byproduct of the WHL’s Giants. If Nashville makes the playoffs, or if Goaltender Pekka Rinne has a better season, I’d be amazed. Just watch. When fellow BC native, Steve Yzerman, traded for the much-beleaguered St. Louis Blues veteran, he knew he was getting a leader, despite what anyone in Blues country was saying. He’s a quiet type, and doesn’t do anything overly spectacular, but the Canadian Olympic Gold Medallist, and former Blues’ captain, instantly solidified a back end which already included the likes of veterans Mattias Ohlund, and Brett Clark, along with top prospect Victor Hedman. Tossing Jeff Beukeboom’s son and a third rounder to the Blues was pittance compared to receiving a top-2 defenceman for the next 4 years who will compose a core of the Lightning that will compete for the Stanley Cup as long as they want to. With all due respect to Detroit GM Ken Holland, Brewer is the finest player to ever come out of Vernon, BC, and one of the best D-men in the league today. The Canucks are probably thankful that the Jets have finally signed Captain Ladd to a new contract, because he was one of the main reasons the Hawks won the Stanley Cup. If it means they only have to play against him twice a year, that’s a lot less than being a pain in the rear for 6 games a year and playoffs. He plays an in-your-face brand of hockey that makes him an extremely difficult player to play against, and can check anyone into the ice whenever he is asked. He is the consummate team guy, and is second to none on the penalty kill, using blinding speed to cause point men no end of grief. He drives hard to the net, and he drives his teammates to perform at their best every night. Welcome back Jets, you couldn’t have picked a better man for the job. The oft-injured Horcoff is a captain the way Oilers fans like them lately — gritty, clutch, and passionate about the city and fans for whom they play. That’s Horcoff in a nutshell, who will get some help in the leadership department when another former Oiler leader, Ryan Smith, returns to play out his career in Alberta’s capital. For what he lacks in the skill department, Horcoff makes up for with sound defensive positioning and the highest level of work rate on the team. He’s a good face-off man, and scores goals when you need them. This is a guy who never forgot what it was that made him successful enough to play at the NHL level, and represents your prototypical BC born player. Carey Price is the best goalie to come out of BC since Andy Moog. For a change, there are no grumblings in Montreal about how Price faltered in the playoffs. His numbers were even better than his regular season numbers, and to think, this goalie is only 23 years old. When the Habs traded Jan Halak to St. Louis, there was nearly a riot about how they were ripped off and how Price would never be a decent number one. Those fans were wrong. Although still a little inconsistent, Price has developed into the uber-talent everyone thought he would be, showing signs of handling the biggest pressure cooker in the NHL, Montreal. He handles the puck well, covers massive amounts of net, and is beginning to look scarily comfortable in the cage. Now if only management can do something about their pop-gun offense, the team might go places. Without Vancouver BC’s own Price, however, this once proud franchise, stacked with Francophone players, would sink like a stone. For many Canucks fans, this hip-check on Lucic was both the best hit and the worst moment of the series. Most Canucks fans hadn’t seen Hamhuis play enough in Nashville to be able to tell you what they were getting when GM Mike Gillis signed him in 2010. They apparently hadn’t watched the Nashville Predators push the Chicago Blackhawks to the limit the year the Hawks took out the Canucks in 6 games for the second straight year. Dan Hamhuis was everywhere that series, and had he been in Nashville instead of Vancouver this year, the Canucks don’t win the President’s trophy, they don’t have the fewest goals against, and they certainly never get past Chicago, Nashville, and San Jose, or win two games against Boston. The main reason fellow D-man Kevin Bieksa looks so dominant, and goaltenders Roberto Luongo and Corey Schneider look like Fort Knox on most nights, is because this guy is in the lineup. Perhaps he isn’t 6’8″ like Chara, and maybe he doesn’t have a big-time Howitzer like Ehrhoff, but he is uncannily Lidstrom-esque in his positioning and hockey smarts. He’s also one of the nicest guys you can ever meet. Seabrook giving definition to the term "Flying Frenchman"
To me, the most surprising fact about Brent Seabrook isn’t that he was able to take a Raffi Torres blindside hit that made him concussed, and got up to fight him anyway, but rather, that he’s from Richmond, BC. Now, don’t get me wrong, I have nothing against the Asian population of Vancouver whatsoever, but if you haven’t been to Richmond, then you should know it’s more likely to produce a future badminton star than it is one of Canada’s finest defencemen. Seabrook doesn’t bang as many bodies in the regular season as fans would like, but in the playoffs, there is nobody meaner than Seabrook. The never-nervous blueliner always seems to know what to do with the puck, and makes opposing forwards nervous when they are around his goaltender’s net. His mobility from the back end is second to none, and having him on the ice is like having another captain. Another Olympic Gold Medallist, who will probably have his number retired in Chicago, and perhaps by the Hall of Fame when all is said and done. East Vancouver is just, well, a little different. When you see that cocky, grinning s.o.b. Lucic who backs down from no one, and stares down everyone like they’re intruders in his home, that’s what growing up in East Van is all about. The Canucks continue to make mistakes in passing up opportunities to draft home-grown talents like these, who was passed up by the team, at the time, Dave Nonis, for Michael Grabner, who became the bench riding Keith Ballard, and the poor-man’s Lucic, Viktor Oreskovich. 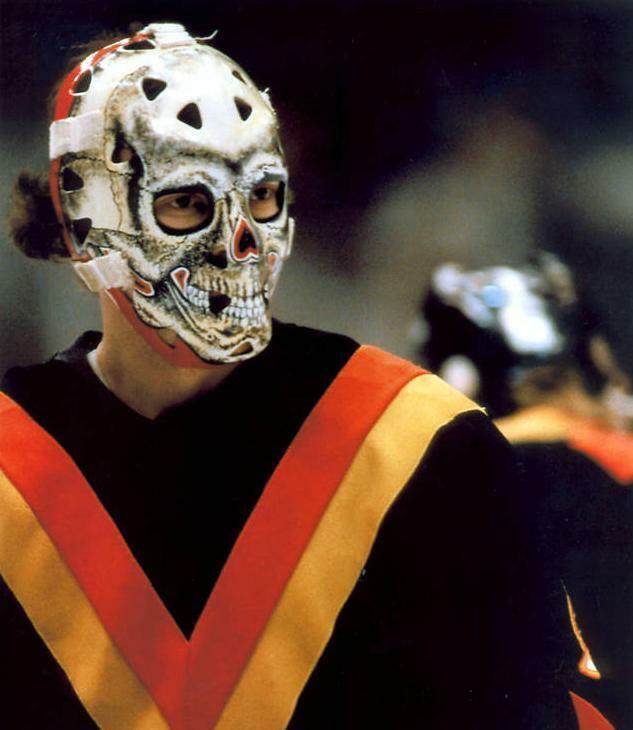 It’s not as though the Canucks didn’t know about this monstrous, hulking winger, after all, he played in our own back yard at the Pacific Coliseum for the Vancouver Giants of the WHL. Even then, fans were screaming on Sportstalk radio shows for the Canucks to Draft this kid with size, strength, grit, determination, and fire in the belly, in essence, what every team needs to win a Stanley Cup. It goes to show you that sometimes, fans, and not the pro-scouts, GM’s or coaches, know Stanley Cup champs when they see one. Guess what? He just became one. Without Weber, it is largely believed that Nashville will sink to the bottom of the standings, and the team will fold, no matter what Barry Trotz pulls out of his magic bag of tricks. He is just that good. The future Norris trophy winner lived a charmed life until the Vancouver Canucks proved they didn’t have enough firepower to compete with the league’s best. The Preds may not have the bankroll to compete with the league’s best either, as the Weber contract still looms over the franchise which sees it fit to give up any number of pieces just to lock their captain up for the rest of his career. I’m not sure it will happen, because nobody wanted to win more than Shea Weber. To see fellow Sicamous teammate, up-and-comer Cody Franson get shipped to the Leafs for practically nothing, couldn’t have sat well with the 6’4″, 234 lbs. Defenceman. How good is Weber? He has won the World Championship of Hockey in 2007, he helped team Canada win Gold at the 2010 Olympic games, he is an all-star, won the hardest shot competition, demolished the Anaheim Ducks in every regard in the first round of the 2011 playoffs, won the team’s MVP award, and nearly the Norris trophy (9 votes shy) as the league’s best defenceman. He is as complete a defenceman as they come, and he is just getting started. He will win a Stanley Cup, but unless Nashville can make some moves to look a little more respectable in the forward department, Weber will do it with another team. Maybe Nashville can use some French-Canadians on their roster, eh?